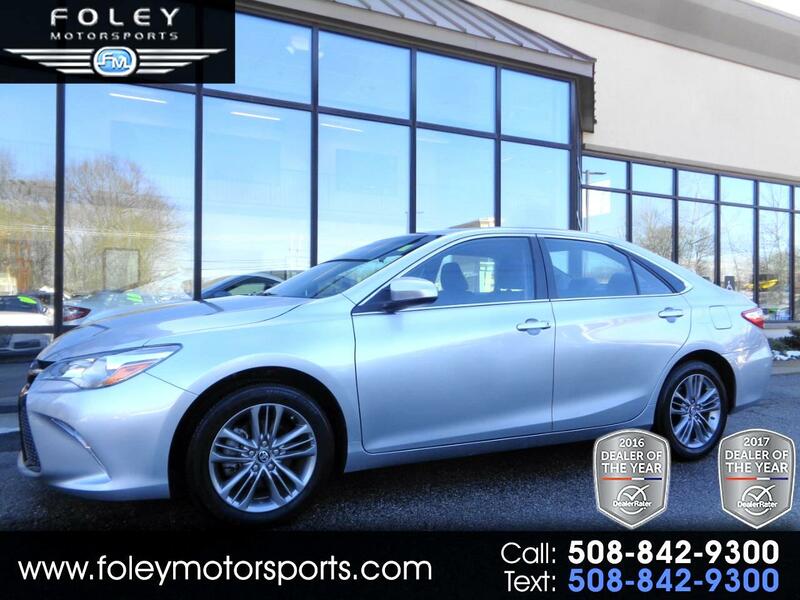 ***Toyota Camry SE Sedan*** Auto, Camera, Alloys, Bluetooth, Extra CLEAN, LOW Miles, JUST Traded!! 1-OWNER... Extra CLEAN... JUST Traded!! 2017 Toyota Camry SE Sedan... Celestial Silver Metallic on Black Cloth Interior... Automatic Transmission... 2.5L I4 Engine... Very CLEAN... Recent TRADE-IN... ONLY 23,646 Miles!! Well Equipped with Satellite Radio and HD Radio, Automatic Headlights, Heated Mirrors, Air Conditioning, Keyless Entry, Rearview Camera, Cruise Control, Power Driver Seat, 60/40 Split Folding Rear Seatbacks, 6.1-inch Entune Touchscreen Electronics Interface, Voice Controls, Bluetooth Connectivity, Siri Eyes Free and a six-speaker Sound System with a CD Player, Auxiliary Audio Jack and a USB/iPod Interface, 17-inch Alloy Wheels, Sport-tuned Suspension, Sport-themed Exterior Styling and Interior Trim Elements, Cloth and Synthetic Leather Upholstery and Leather-trimmed Steering Wheel with Paddle Shifters and much more!! CAR FAX Certified 1-OWNER Vehicle with Toyota BUMPER to BUMPER Warranty Coverage Included!! Please feel free to contact our experienced sales team with ANY questions or to schedule a test drive. Buy with confidence from the area LEADER in Pre-Owned LUXURY. Additional 5 Year/100K Extended Warranty Coverage Available. ALL of our vehicles are meticulously detailed and serviced by our factory trained certified technicians. Call or email us at sales@rjfoley.com **$0 Down** 100% financing available with great rates! Trades are always welcome. National and International shipping quotes are available.